We will go through each categories skills but the 4th category as this simply contains 90% of all the Witches skills. In addition I will not talk about the passive skills as those should be maxed anyway. Depending on your gear and the optional skills you choose including leveling up to 55 or 56, you should taking the 2nd options. If you don’t want to invest that much into you gear and you are not willing to spend the time leveling, just leaving your alt on Level 51 take, the 1st option. If MMA is your bread this is your butter. Thanks to MA you can do every Boss without the use of a single MP potion. Based on the Awakening you have chosen for MMA in combination with your gear and level you will never run out of mana. Probably the most underrated skill by many people. 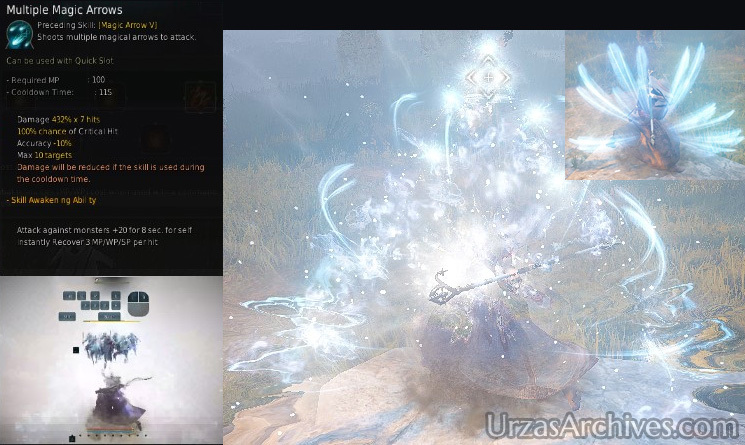 This skill basically increase your DPS by 20% for the duration of 30s while having a downtime of 50s this means in the proper rotation it is up for 60% of the time, increasing your total DPS by 12% at the cost of nothing. 4. If the CD of Speed Spell III is ready go back to 1. if Speed Spell III is still on CD go back to 2. This might also be interesting for anybody that didn’t know that the basic evasion skill of each class is an Iframe in most of all PvE situations. In other words your Shift Dodge mitigates 100% of your targets damage on you. Magical Evasion V is one of the best feeling dodges in the entire game (imho). If correctly timed you can dodge in and out of your enemies attacks (in PvE), laughing at them while quickly repositioning yourself in order to proceed with your attacks. Congratulations, you are now a dedicated and professional Boss Hunter. ARGH! There are still the Recommended Skills and the Optional Skills… and maybe we should talk a little bit about the actual gear you need! Let’s talk about Magical Shield IV first. 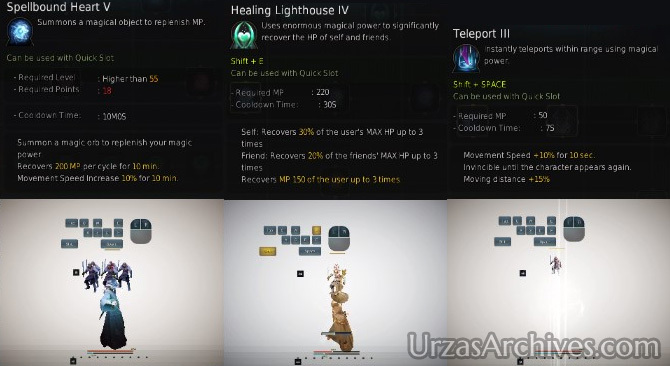 MS4 is one of the strongest defensive buffs in all of Black Desert Online. It will reduce the damage you take by 40% by using your mana instead of your life. In addition you will receive 15% bonus resistances against all types of CC. This buff can either be used to dodge e.g. Dimitri’s Ranged Attack or in a PvP situation if you are attacked from the back. This skill allows you to completely pass on health potions. As a percentage based heal on a fair Cooldown. With HA5 you can easily heal all the damage you accidently received if you turned your brain off for a moment. HA5 can be used without any mana costs and will instead replenish some of your mana. This skill is extremely powerful and I highly recommend it for everybody. Teleport III is a simple mobility skill that allows you to quickly move in a single direction. It can be used to dodge attacks or to close in to the Boss in case you had to move away from it before. 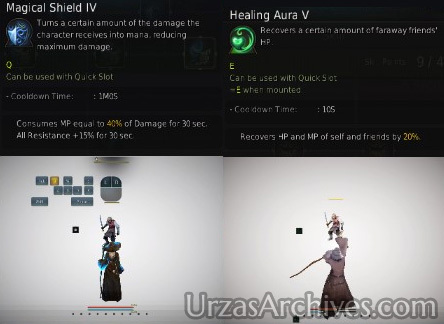 There are situation you cannot do anything but take the damage in those situations and depending on your gear it is possible that HA5 is not enough to bring you back to full HP. In this situation Healing Lighthouse IV will cut the deal for you. Combining HA5 with HL4 you are back to full HP in no time. 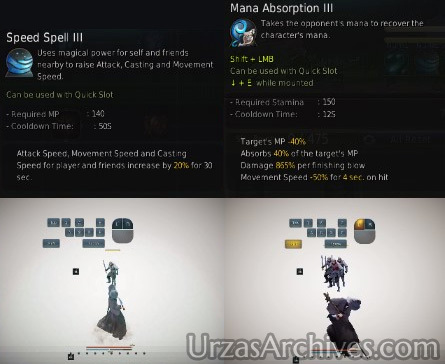 In case you are out of mana simply start with HA5 then add HL4 it will regenerate quite some of your mana as well and you are able to skip one Mana Absorption in your rotation. Spellbound Heart V is the most optional skill you could choose. You’re basically placing a mana potion on the ground that will passively replenish quite some mana every few seconds. If you have the Skillpoints and you have leveled all the other skills – just take it! This ends the Skill section of the guide. Last but not least we will talk about the required equipment followed by a few last words on my personal experience using a Witch for Boss Hunting.